Have you ever herd the term ” Busy as a Beaver”? Well beavers are busy through most of the adulthood life. There are 2 types of beavers, found in forests of North America, Europe, and Asia. 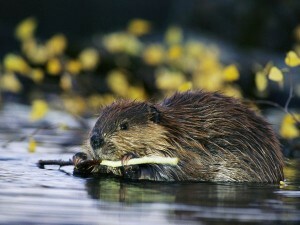 Beavers build domelike homes out of sticks and mud. They are often made in the middle of ponds. The home can only be reached by an underwater entrance. The home can fit up to a family of 6 beavers! Beavers have flat leathery tails to help them swim up to 5 miles per hour. 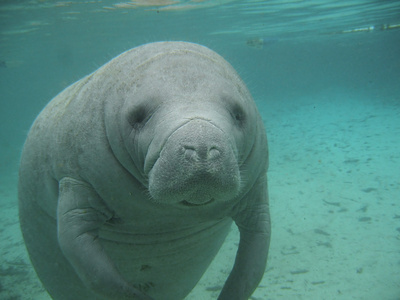 They can stay underwater for 15 minutes with one breath. Their fur is dark brown and waterproof. The tiger is the biggest cat in the world. They love to swim, unlike most cats. They grow thick, long, reddish, orange coats with black stripes, and white underbellies. There were once 9 species of tigers: Bengal, Siberian, Indochinese, South Chinese, Sumatran, Malayan, Javan, Caspian, and Bali. Sadly, the last three of these tigers are now extinct. Tigers are very rare. 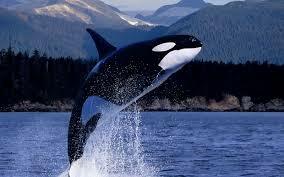 There are about 4,500 living in the wild! That may seem a lot but it is not. 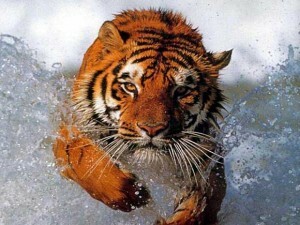 Tigers mainly eat ambar deer , wild pigs, water buffalo, and antelope. As you can see tigers are carnivores. Tigers can be white or orange. White tigers live in snowy biomes, and the orange tigers live in forests and other biomes. Tigers are my favorite animal because they are pretty and strong. Cheetahs are carnivores, which means they eat only meat. Cheetahs eat gazel, zebra and more. Cheetahs can carry their prey all the way up a tree. To tell a cheetah and leopard apart, the cheetah has spots and leopards have a flower like pattern. My friend Aedan wanted to learn about Wolves. 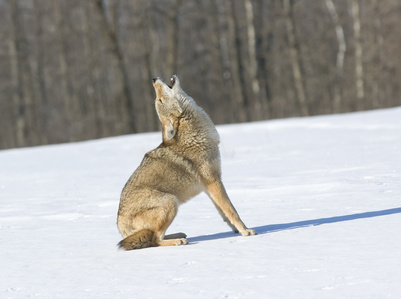 Did you know that wolves howl to send a messages to other wolves? They might howl to warn that there are other wolves in their territory. Howling skills are very important to a pack, because if a wolf is lost from the pack the other wolves can send him a signal to find his way back home. They also communicate by whimpering, whining, growling, barking, and yelping. When a wolf wants to play, it dances around happily. Playing might look a lot like fighting, but you can tell playing and fighting apart because fighting has growling and yelping, but playing has jumping on each other. 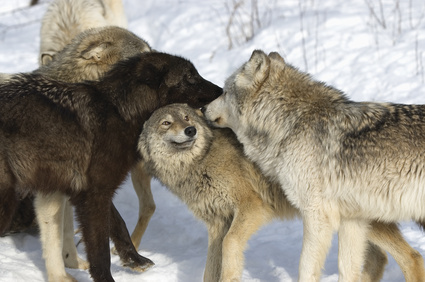 Wolves and dogs are closely related. Lions are one of the only cats that live in a pride. A pride is a group like a human family or a wolf pack. 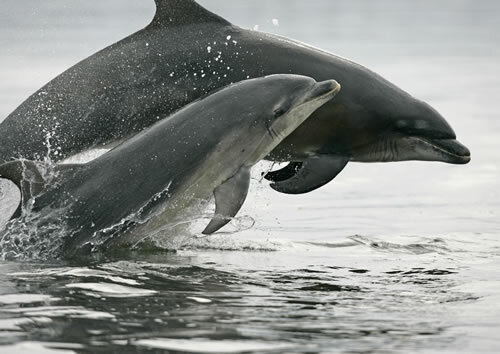 Sometimes they live in a group of 3 but usually in a group of 15 or more. Sometimes, when a male lion leaves and goes to live with another pride, he kills all of the cubs in the new pride. Lions are very good hunters. Food for the pride is almost always caught by the female lions. They only eat meat witch means they are carnivores. 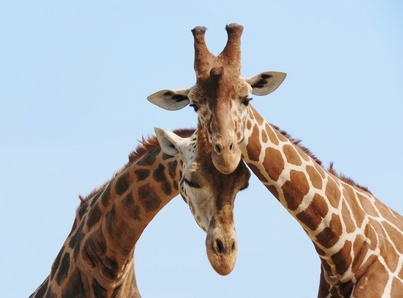 Their favorite foods are gazelles, zebra, hares, and other small animals. They can eat 50 pounds of meat in one meal! Did you know, that Lions are really good swimmers? Most cats don’t like water. Full grown males can way between 330-550. They can run 35 miles per hour.